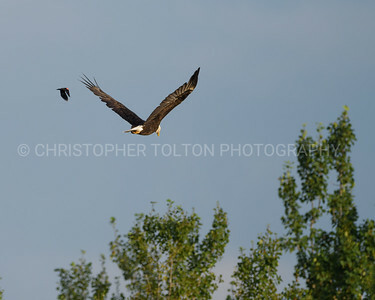 This bald eagle was frequenting Remington Lake in Antigo, Wisconsin, where he would look for fish and the occasional young duck. 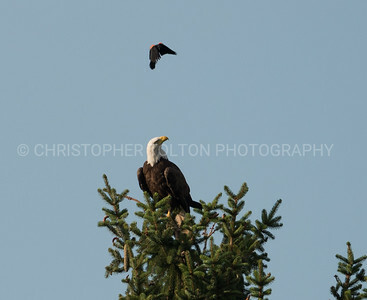 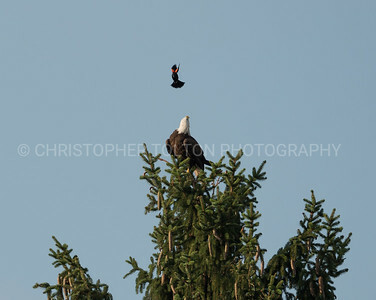 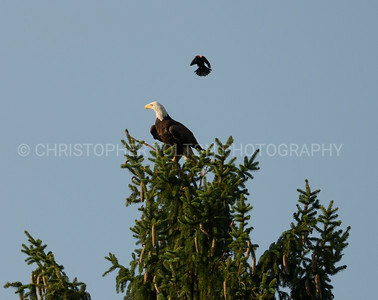 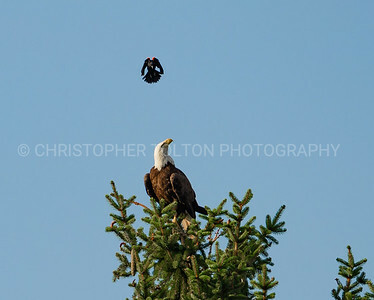 Unfortunately for the bald eagle, red wing blackbirds also nest in the area and a particularly protective adult has taken to harassing the eagle. 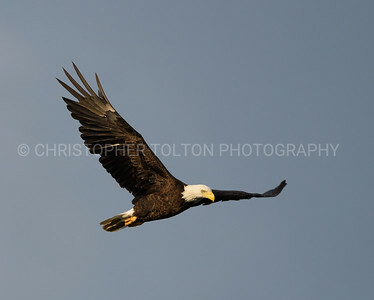 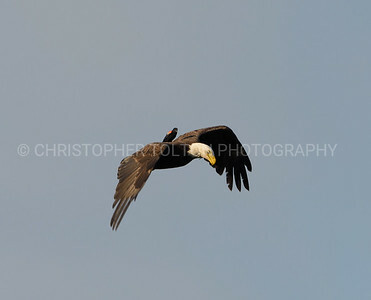 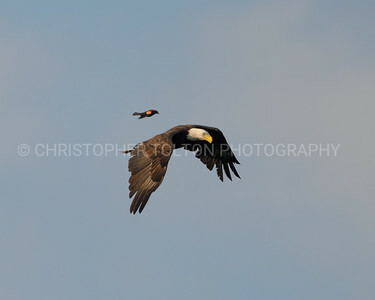 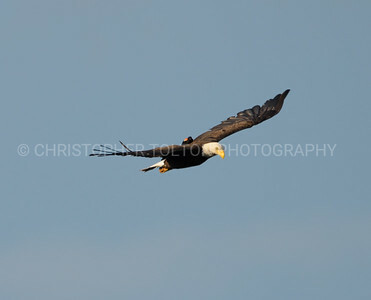 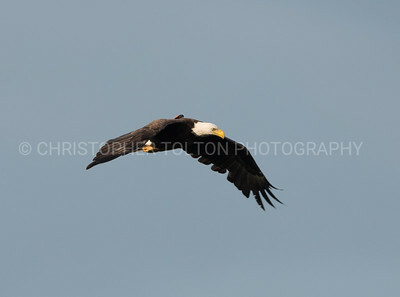 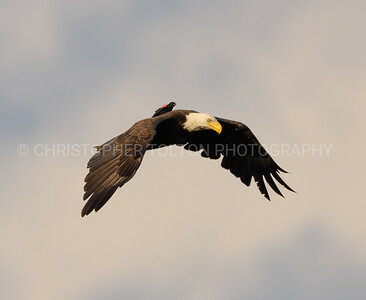 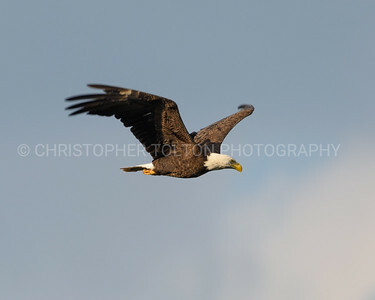 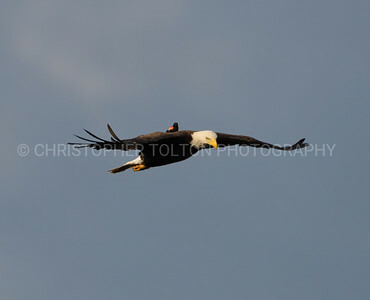 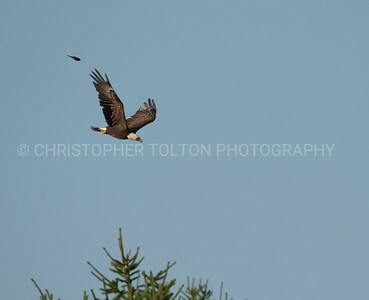 This time he also caught a ride on the back of the flying eagle for a good 20 seconds while calling in the eagle's ear. 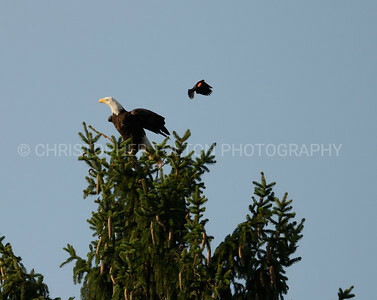 After the redwing blackbird left the eagle's back he followed and re-landed on the eagle, as seen when flying towards distant trees. 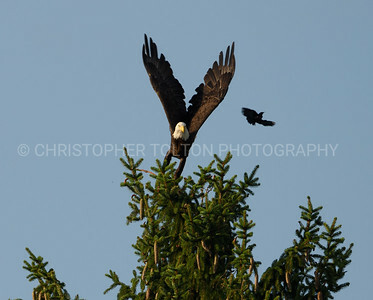 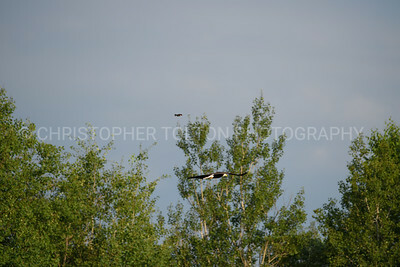 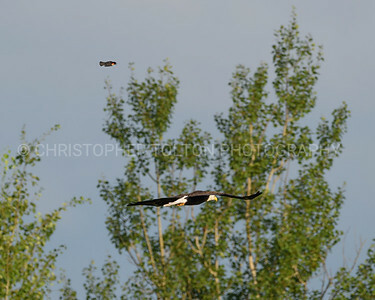 The eagle eventually returns to the tree to only be chased off again. 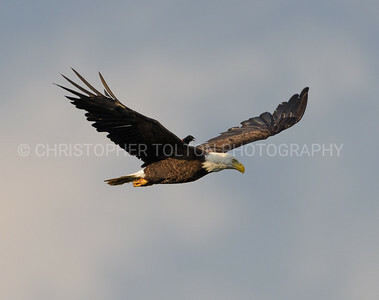 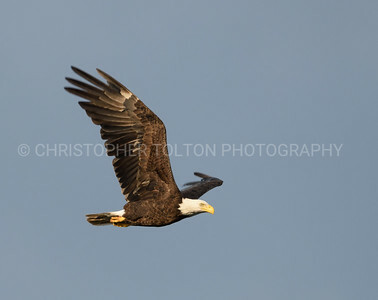 Watermark printing over photo will not appear in purchased prints.